Acrophobes, stop reading now. 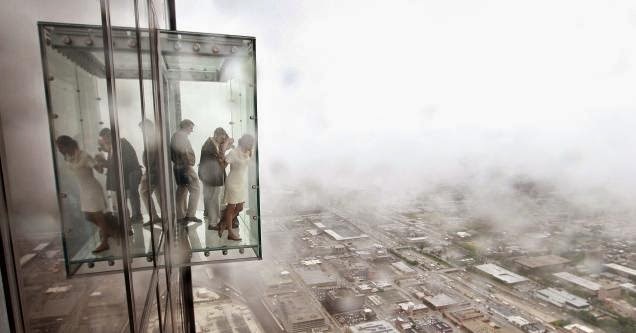 The Skydeck at Willis Tower, which lets tourists stand on a glass ledge more than 1,500 feet above Chicago, cracked under the weight of visitors late last night. Believe it or not, it's not that big a deal. Here's why. 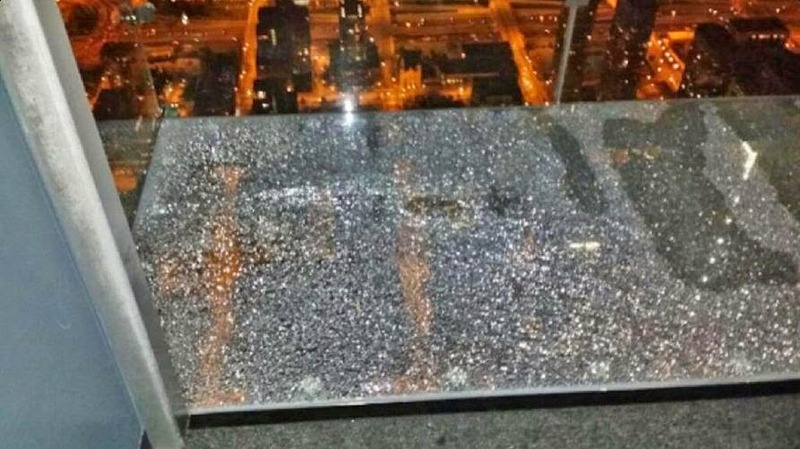 According to NBC, a California family stepped out onto the Skydeck late last night—only to hear a cracking sound and see the glass under their feet fragmenting. 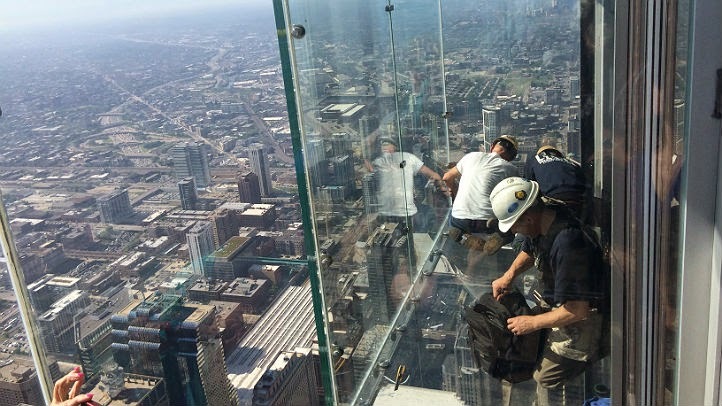 "I walked them over so they could see and they were totally shocked and asked us to step away and then proceeded to start calling staff and techs," one of the tourists told the news channel. So, what actually happened? SOM, the architecture firm behind the design, told me this morning that they'd be unable to comment until they have more information. But we can glean a few things already. 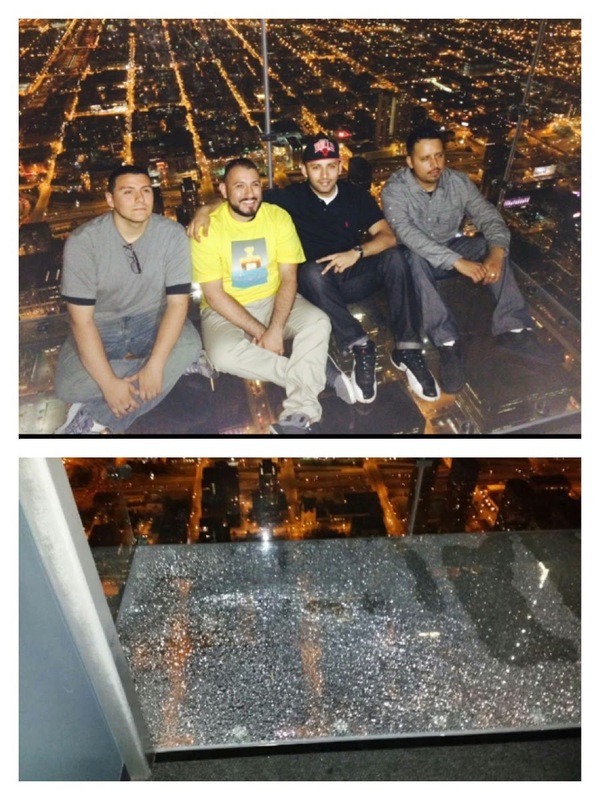 Skydeck's box is made out of super-strong plates of glass, each weighing 1,500 pounds. The floor of the deck is made from three of these half-inch thick panels sandwiched together with a laminate. Laminated glass doesn't shatter when it breaks. That's thanks to a layer—or layers—of super-strong polyvinyl butyral or a similar material. This clear plastics sticks to the glass so that if it cracks, the pieces stay intact. That's why the glass in your windshield doesn't shatter under the force of an accident. Based on the patterns in photos of the glass, it sounds like one of the three layers of glass began to crack under the repeated stresses of five years of near-constant use. It's also pretty likely that the family who witnessed it wasn't in danger: It stays intact, even when it shatters—and because it breaks into tiny pieces instead of shards, as one commenter pointed out. Occasionally this happens, but that's because we designed it this way. Whatever happened last night is a result of the protective coating doing what it's designed to. So, everyone chill—it was designed that way.